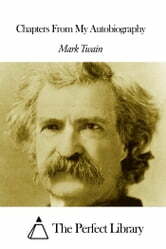 This ebook presents «Chapters From My Autobiography», from Mark Twain. A dynamic table of contents enables to jump directly to the chapter selected. Sketches New And Old, Part 2.